garlic scape season is really short...want a recipe for white bean & garlic scape dip? what a treat to find a bunch of garlic scapes in my weekly CSA box. are you familiar with scapes? if not, go immediately to your farmer's market and ask for them. they are a soon-to-flower stalk that grows at the top of the garlic plant from between the leaves. these "flowers" have to be cut off to ensure the bulb receives the necessary energy required to grow into the garlic we know and love. this process is sort of like pinching the flowers off herb plants to aid in their growth. i love the clean, organic look of scapes...they curl into very interesting shapes...and make lovely casual floral arrangements which i use for a day or two prior to turning into a delicious treat. garlic scapes are in season for only 3-4 weeks...one of the issues you deal with when trying to eat only local, in season, organic food...short harvest time frames. you have to be aware each week of what is ready ...and then snap up the items before the season is over. i ate scapes every day for a week....and wished i had bought more. if you google garlic scapes, you will find loads of recipes for pesto. trust me...pick one...any one. then make it and serve with pasta or spread on toast/bruschetta. garlic scape pesto is delicious but i did not think the world needed another version....so instead of my pesto, i decided to share a recipe for a dip made with scapes, white beans, extra virgin olive oil and seasonings. easy, quick, delicious, healthy and versatile...how great is that? i made this dip a couple of weeks ago when some friends decided at the last minute to come for drinks...they called and said "we have wine...we know you will have food..so we are coming over". good friends can do that. i had all the ingredients for the dip so i grilled some bread and drizzled with olive oil then added olives, preserved lemons, cheese and a crudités platter to the offering. everyone was happy! add the scapes to the bowl of a food processor and pulse until roughly chopped. add the beans, lemon juice, half the olive oil and the red pepper flakes. pulse until chopped and mixed. with machine running, slowly pour the remaining oil in through the tube, stopping when you reach your desired texture (i.e. stop when still a bit chunky if you like texture...or keep whirring away until very smooth...whatever you like). add a pinch each of salt and pepper...taste and adjust seasonings as needed. place in a serving bowl and drizzle with additional extra virgin olive oil. serve with pita chips, tortilla chips, crackers and/or a crudités platter. delicious spread on bruschetta. try as a sandwich spread with roast beef or chicken. 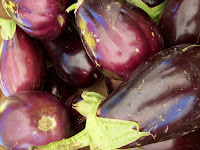 so eggplant is delicious and healthy...what could be better? one of my favorite summer sandwiches includes grilled marinated eggplant. i use a technique i learned from my twitter friend judy witts francini a.k.a davina cucina...salting the sliced eggplant to remove the bitterness and avoid soaking up a ton of oil. then you simply grill and marinate in a mixture of e.v.oo, garlic, red pepper flakes and black pepper. when you are ready to make the sandwiches, you will use that delicious, flavorful oil to brush on the bread prior to gilling. imagine golden brown toasted bread, garlicky spicy eggplant, melted cheese and fresh basil.... amazingly good and easy to make. 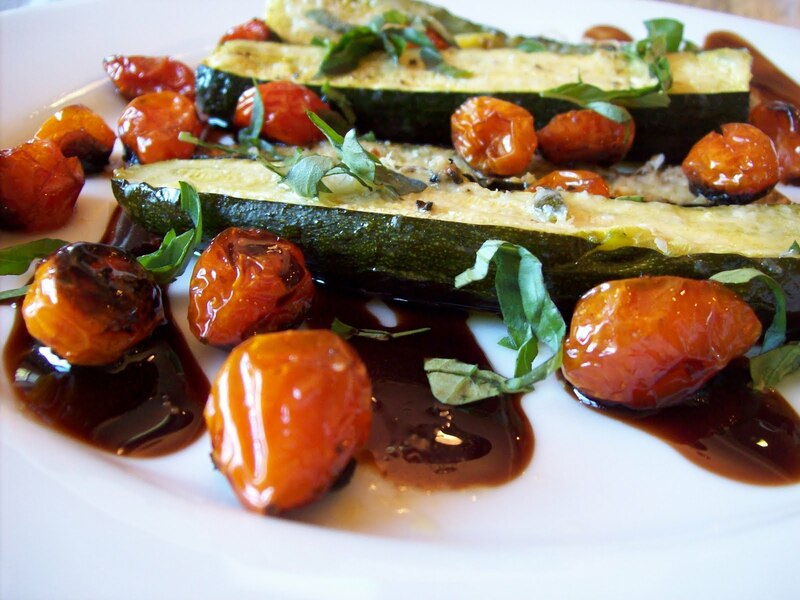 you will serve this dish all summer! here is my tip regarding using the grill for the eggplant sandwiches. i make this the same day i grill chicken or a large piece of meat. i grill the eggplant first and start the marinating process. then, i grill the chicken or meat...when finished, the coals are ready for the sandwiches. we either have a big feast, or i serve the sandwiches immediately and have barbecued chicken or steak or ribs prepared for a few days worth of meals. now it is your turn to participate in summer fest. simply leave your eggplant tip or recipe or favorite links in the comments below, and then go visit foodnetwork.com and do the same same. summer fest is almost here! summer fest a few years ago. it works like this...each week a summer fruit or vegetable is selected and bloggers all over the world post recipes using that ingredient. they post their recipe on their blogs and as many other participating bloggers blogs as possible. they also encourage their readers to share their favorite tips, dishes or ways to eat/grow the item. you end up with a massive amount of ideas...perfect during the growing season when you might have too much produce...too little inspiration. it has become of of my favorite parts of summer. my first contribution was in july 2008 and the topic was zucchini. we do this each week until summer ends. last year we kept the fun going until thanksgiving and switched the name to fall fest after labor day. want a recipe for rhubarb & strawberry crumble? so...what is the difference between a crisp and a crumble? summer is approaching (although here in napa you would never know it...it has been cold, cloudy and rainy for weeks!) and crisps/crumbles are the perfect, easy, delicious way to prepare the luscious fruit grown at this time of year. but what is the difference? definitions vary, but most agree that both desserts start with a bottom layer of fruit, but their toppings are a little bit different. crisp toppings are a mix of butter (or, in my case, olive oil), sugar, flour, oats and sometimes nuts. crumbles include a butter (e.v.o.o. ), flour, sugar mixture called streusel. the three ingredients are mixed until crumbly and then cover the fruit. the finished products are very similar, but crisps have a higher proportion of fat to flour so are usually crisper and a bit richer. crumbles are more cake-like. both are delicious. i posted my crisp recipe last fall and used apples & pears . today i am sharing my "kind of healthy" crumble. regular readers know i have been on a quest this year to take traditional recipes and make them a bit healthier. i think i have been brainwashed by my friend laura's quarterly cleanses and want my body to feel good after consuming delicious food...(i.e. not bloated, stuffed, heavy, too full)... emphasize delicious in that last sentence. it does me no good to create a healthy recipe if it tastes bad...or even marginal. i need to love it or am not satisfied. this crumble meets that criteria. i used spelt flour instead of the more traditional white flour. spelt flour is an ancient whole grain with high water solubility. this allows its vital nutrients to be absorbed into the body very quickly. it also adds a bit of a nutty taste which i think works really well in crumbles. and, although it is NOT gluten free and therefore not suitable for people with celiac disease, many people sensitive to gluten report they can tolerate spelt flour. my other substitutes are agave nectar for sugar, extra virgin olive oil for butter and, because i like the taste better, instant tapioca in place of cornstarch or flour to thicken the fruit juices. preheat oven to 375°F. in a mixing bowl combine spelt flour, baking powder, agave, lemon zest and olive oil. mix well. you will have a dense dough. set aside while preparing the filling. do you have favorite rhubarb recipes? please share them in the comments section. i am hoping for more rhubarb stalks in my csa box during the next few weeks.... what should i do with them?